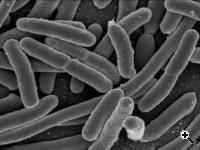 Scientists at the Massachusetts Institute of Technology in Cambridge, Massachusetts and Boston University in Boston, Massachusetts have discovered the drug hydroxyurea causes bacteria to directly produce toxic molecules that kill off their generating organism. Similar processes could be used to create new antibiotics in the future or enhance the effectiveness of antibiotics already on the market. Hydroxyurea has been used to inhibit DNA replication in E. coli, yeast, and other biological cells for years and is also sometimes used to halt the growth of cancer cells in chemotherapy treatments. Scientists believed the drug killed the affected cells because of the DNA replication but this new study shows the replication blockage initiates a chain reaction at the cellular level that results in the production of hydroxyl radicals. These radicals damage nucleic acids, lipid, proteins, and other cellular molecules. 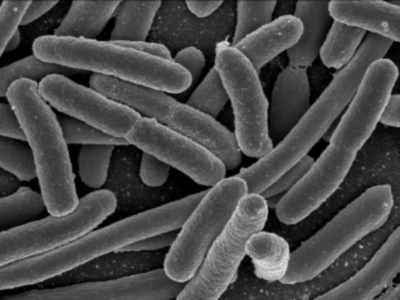 Led by Dr. Graham Walker at MIT and Dr. James Collins at Boston University, the research team explored this reaction by exposing E. coli bacteria to hydroxyurea. The bacteria activated its SOS DNA repair system, a system which replicates DNA without repeating any lesions or errors in the original strand. This kept the cells alive for several hours before producing the hydroxyl radicals that kill the bacteria. Collins previously proved that the production of hydroxyl radicals that kill bacteria is a byproduct of several antibiotics currently on the market, but the discovery of a more direct production method using hydroxyurea could lead to a completely new class of antibiotics. Hydroxyurea could also potentially be used in the development of adjuvants, molecules designed to enhance the effectiveness of other antibiotics. Further studies are planned to explore the interaction of hydroxyurea and bacteria in more depth and determine whether it can be leveraged to create any viable drug treatments. TFOT has previously reported on several new methods of killing bacteria and research that could lead to new types of antibiotics including a study of suicide mechanisms in E. coli bacteria, a method for creating specific biophages (viruses that attack bacteria) targeted to treat bacterial infections that don’t respond well to other treatments, and the use of light to kill bacteria found in water before it has the chance to infect people. Read more about this drug interaction in this MIT press release or on Dr. Walker’s research overview page. How Will the Webb Telescope’s Sunshield Perform?